Helena Family Dental has been serving smiling patients in Phillips County for over 20 years! Meet our experienced doctors that offer everything from orthodontics to oral surgery and so much more. Schedule your appointment today. 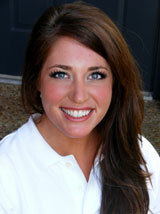 Dr. Kelli E. VanHouten Grubbs strives to offer her patients the very best dental care available. For her undergraduate education, she attended Arkansas State University in Jonesboro, Arkansas, and obtained her dental education at the University of Tennessee Healthcare Center in Memphis, Tennessee. To keep up-to-date on the latest techniques and advancements in dentistry, Dr. Grubbs holds memberships in the ADA, AAGD and the ASDA where she recently served as the Southeast district President. In her spare time, Dr. Grubbs is a member of the Phillips County Volunteer Corp, a member of the Global Health Outreach and is a volunteer for the Humane Society of the Delta. She also volunteers through the Christian Medical and Dental Associations to provide dental services to residents of Santa Ana, El Salvador. She is married to Joe Clayton Grubbs, Jr and has 2 sons. 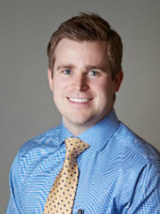 Dr. Brenton Glassell, also known as Dr. G, is a board-certified orthodontist that we are thrilled to have on our team! He grew up in Tennessee and completed his undergraduate work at the University of Arkansas before attending dental school in Memphis. He graduated with high honors from the University Of Tennessee College Of Dentistry in Memphis, was inducted into the Dean Odontological Society, and received the Dean’s Leadership Award, one of the highest honors given to a graduating dental student. After his residency, he completed his board certification to become a Diplomate of the American Board of Orthodontics, a designation achieved by only 30% of practicing orthodontists in the United States! When Dr. G isn’t at the office, he loves to spend time with his wife, Gail, and his beautiful daughter, Ella. He also enjoys golfing, hunting, fishing, exercising, and cheering on everything Razorback! Dr. G strives to be on the cutting edge of orthodontic technology and continually attends continuing education classes to give his patients the best possible smiles. Dr. G specializes in Invisalign, clear esthetic braces, and accelerated orthodontics. He has extensive experience with interceptive orthodontic treatment to correct teeth and habits in young children as he has previously worked in a pediatric dental practice. He is passionate about giving quality, individualized care to every patient that comes through our office. Dr. Stewart, Owner and General Dentist, has dedicated 20+ years to the study and practice of dentistry. In 2009, Dr. Stewart transitioned into dental practice management and administration and formed Central Dental as a multi-location group dental practice. After receiving a B.S. 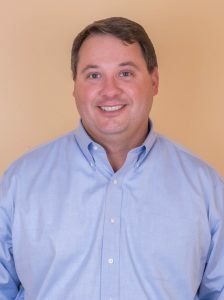 degree in Medical Sciences from the University of Arkansas, Dr. Stewart attended the University of Tennessee dental school where he received his Doctor of Dental Surgery degree in 1994. He enjoys the challenge of providing the highest level of multi-disciplined clinical dentistry within a group practice model. Dr. Stewart is committed to being involved in shaping the direction of the dental profession as it evolves into the rapidly changing landscape of dental practice consolidation. When he’s not in the office, he is constantly learning more about the profession and reading about the latest advancements in clinical dentistry. He also enjoys hunting, playing golf, and spending time with his family.